The process of birth can be a stimulating one, and generally babies cope well with the forces involved in a normal labour. However birth can be more complex and difficult, taking a long time, requiring, for example, medical interventions or caesarian section. This can result in retained ‘moulding’ through the head, neck & body. Osteopaths believe that this moulding may contribute to a number of minor conditions of early life. Osteopathy offers an extremely gentle manual approach to some of these. 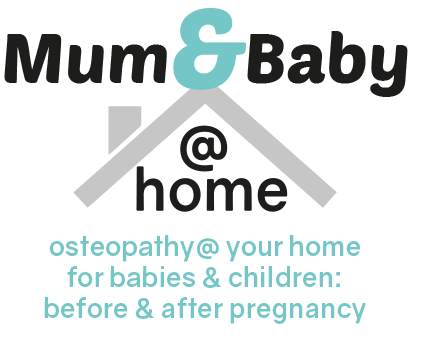 The Osteopath will start by taking a full health history for your baby, including details of pregnancy, birth and life so far. This is followed by examination and treatment – light touch to the head and body to rebalance the baby & allow it to function correctly. Treatment is very much led by what your baby is comfortable with – breast feeding, sleeping or just lying in Mum’s lap will all work fine. The Osteopath may also give you home exercises for you to do on your baby as well as general advice on feeding positions etc.